Maine Sen. Susan Collins plans to meet privately with Ambassador Rice on Wednesday, and says she as "many, many questions" about Libya. 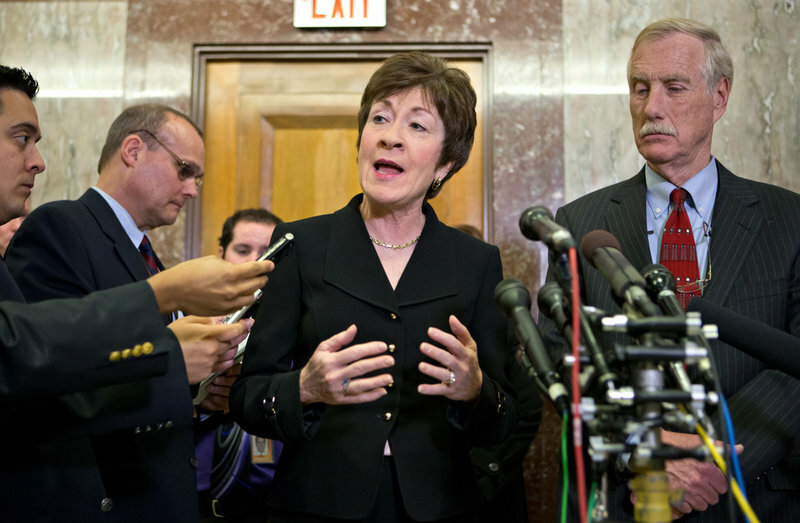 WASHINGTON – Maine Sen. Susan Collins plans to meet privately with U.N. 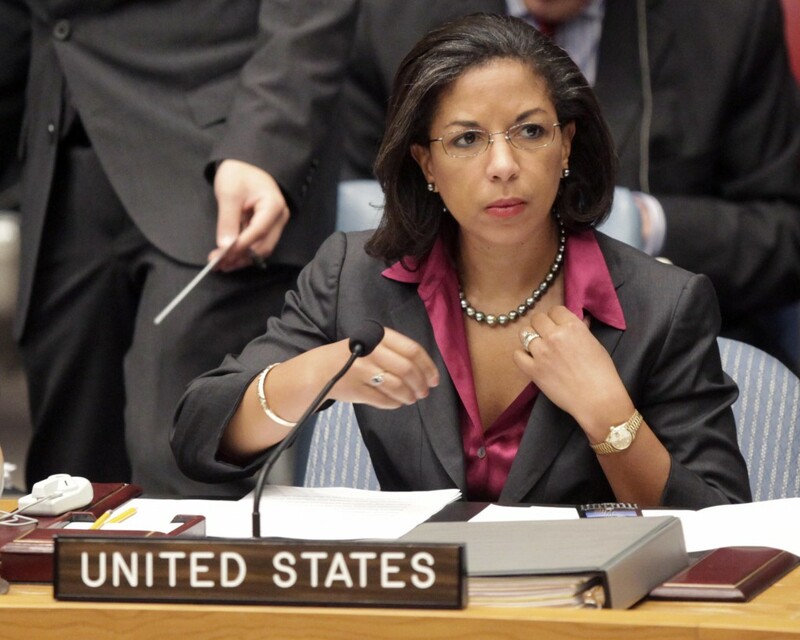 Ambassador Susan Rice on Wednesday, one day after three of her Republican colleagues emerged from similar meetings saying they were “more disturbed” about statements Rice made after the attack on a U.S. facility in Libya. Collins, the senior Republican on a congressional committee investigating the Benghazi attacks that killed a U.S. ambassador and three other Americans, said Tuesday that she has “many, many questions” for Rice, whose mother grew up in Portland, Maine as part of a remarkable family. Collins said, for example, she wants to know what evidence Rice relied on when she made televised statements days after the incident that the attacks on a U.S. consulate in Benghazi may have been protests that spiraled out of control rather than a pre-planned assault. “There is nothing in the talking points that I have read that refers to a protest,” Collins said. Over the weekend, some Republicans appeared to soften their stance against Rice, who has yet to be nominated but is believed to be one of the administration’s top choices to succeed Hillary Rodham Clinton. But Rice’s standing with her critics seemed to slip backward Tuesday after she met with Sens. John McCain of Arizona, Kelly Ayotte of New Hampshire and Lindsey Graham of South Carolina. “We are significantly troubled by many of the answers that we got and some that we didn’t get concerning evidence that was leading up to the attack on the consulate,” McCain told reporters following the group’s meeting with Rice. In a statement released after the meeting, Rice acknowledged that the information she conveyed during news programs on Sept. 16 was wrong. Rice had requested Tuesday’s meeting as well as separate meetings on Wednesday with Collins, Sen. Joseph Lieberman, I-Conn., and Sen. Bob Corker, R-Tenn.
Lieberman and Collins are leading the Senate Homeland Security and Governmental Affairs Committee’s investigation into the Benghazi attacks while Corker stands to be the ranking Republican next year on the Senate Foreign Relations Committee, which would review nominations for secretary of state. Democrats in Congress have questioned the Republican scrutiny of Rice, with some House members suggesting that sexism or racism may be behind the criticism. The White House defended Rice on Tuesday by stressing that she was relying on information from intelligence agencies, not political talking points. Reid, the Democrats’ leader in the Senate, also lashed out at what he called “baseless” personal attacks on an esteemed ambassador to the U.N.
Rice is the daughter of Lois Dickson Rice, a noteworthy Maine native who grew up on Portland’s Munjoy Hill. Rice’s grandfather, David Dickson came to Portland from Jamaica in 1911 and worked as a janitor. He married Mary Daly, also from Jamaica. She was named Maine State Mother of the Year in 1950. The Dicksons raised five children. The four eldest, all boys, graduated from Bowdoin College. Rice’s mother Lois was valedictorian of Portland High School in 1950 and class president of Radcliffe College in 1954. Collins has been critical of Rice and the Obama administration but stopped short Tuesday of vowing to oppose her.